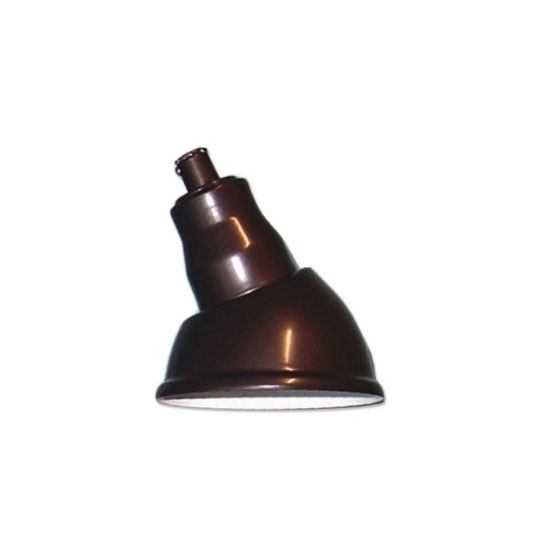 The Small Gooseneck Shade illuminates signs and small areas by focusing light with its 6-3/4" diameter. Mostly used on gooseneck arms, this shade makes it easy to replace old goosenecks or can be mounted to custom mounting accessories. Available in a variety of colors, this shade complements any commerical aesthetic to blend seamlessly into the environment. Use a standard incandescent, CFL, or LED bulb. Bulb not included.